The high-grade RCA cable is 5 ft long and it is used for audio and video composite with DVD, VCR, etc. It has the three RCA ports, which are distinguished with colors, such as yellow, red, and white. The 24K gold plated terminals ensures smooth transferring of digital signals and pure conductivity. You can see the clear and high-resolution result by using high quality RCA cable with DVD or VCR. You just need to hit order now and get it at your doorstep from Amazon Pakistan. 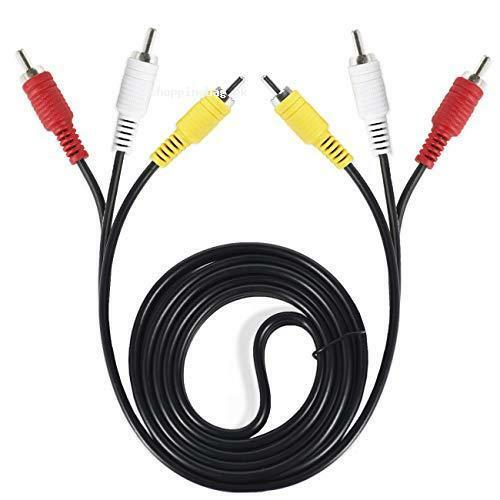 OFC Audio / Video high grade cable, 3 RCA ports, length 5 FT. Equipped with 24K gold-plated terminals. Using high purity OFC conductors, makes image stable and clear. 75 ohm coaxial structure design.